The businessman has these things to say about one of the recipient of his $100,000,000 grants he sets aside to assist entrepreneurs, his goals, dreams and the phase and light he wish African leaders and millionaires can channel their energy if the want a developed continent. Too many policymakers think in terms of traditional aid when they think of support for Africa and the developing world. I think of Shadi Sabeh. Shadi is a young man from Sokoto in northern Nigeria – a region currently struggling with a lack of opportunity and economic engagement, especially for the youth. Shadi might well have become mired in frustration, but instead leveraged his entrepreneurial drive to start an education business in Sokoto that already employs over 100 people. As the recipient of the Tony and Awele Elumelu Prize for Economics from Usman Dan Fodiyo University, Sokoto, Nigeria, I took him with me this week as my guest to a White House event hosted by President Barack Obama, and to a lecture I delivered on ‘Entrepreneur Led Development: A New Development Model for Africa’ at Georgetown University’s McDonough School of Business. In so doing, he served as a model for the most promising approach for promoting growth in Africa and creating stability and security everywhere. What Shadi’s story tells us is simple: Entrepreneurship is the most effective way to establish true prosperity. Only entrepreneurship can create sustainable wealth – the wealth that comes from employment and ownership, and that results in thriving markets and a healthy society. Only entrepreneurship can create opportunity where none seemingly exists. To understand why this is so critical, consider: By 2020, 122 million Africans will enter the labour force. The number of new jobs that must be created to accommodate this demographic explosion is enormous. Added to this are tens of millions currently unemployed or underemployed, making the human and economic consequences nearly too large to imagine if job creation is not seen as a priority. This demographic explosion can spell an economic boom or doom for the continent. Traditional aid and traditional extraction focused investment cannot provide employment for the millions of young Africans entering the job market every year – any more than they can provide for the continent’s massive needs for reliable power generation, housing, transportation and financial services infrastructure. Entrepreneur-led job creation is necessary to overcome these challenges. This realisation represents a fundamental change. Traditionally, in Western societies, the concept of African development has been linked to foreign aid. Aid-based approaches have much to recommend them – they have improved untold millions of lives across the continent. But speaking as an African who is grateful for the lifesaving anti-retrovirals that have saved so many of our people, the vaccines, the emergency food assistance and the debt relief provided to my fellow African citizens, I believe that it is the economic opportunity side of the development coin that will have more catalytic impact in driving development on the African continent. Job creation is at the heart of this process. Each job means the chance to pull a family permanently out of poverty, a wider tax revenue base for African governments, a household that can buy goods and services created by African businesses and greater social stability because minds are constructively engaged. The result is a healthy middle class that drives the growth of infrastructure, housing and financial inclusion. And financial inclusion leads to a safer, more stable world. Such a private-sector driven transformation is already in progress. African companies like Dangote Cement, South African telecommunications firm MTN and the United Bank for Africa, which I chair, are creating hundreds of thousands of jobs across Africa, working to provide essential services like mobile phones, infrastructure and banking while integrating the continent. Most of these companies – like others in Africa and around the world – were created by individual African entrepreneurs. If we are to meet the challenge of creating jobs for the millions of Africans entering the workforce every year – and the millions who cannot find work today – we must support today’s entrepreneurs by creating policies that improve the enabling environment, so that millions of these potential job creators can succeed. I call this idea – that the private sector has a profound role to play in Africa’s development – Africapitalism. Africapitalism means that we cannot leave the business of development up to our governments, donor countries and philanthropic organisations. We must instead rely on and empower African businesses – with entrepreneurship as its driving force. Africa is rich in entrepreneurial energy and talent. Many African entrepreneurs are already running home-grown businesses and have deep insights into local consumer demand; they can spot unique gaps in the market for specific products and services. These are the people who can fuel Africa’s future, but who often lack the capital, training and support to take their small businesses to a national or regional scale. In Nigeria alone, 95 per cent of start-ups fail in the first year, largely due to regulatory and infrastructure issues. But many more of them can succeed with the right support and the right enabling environment. I have so much belief in the potential of nascent and budding African entrepreneurs that I have committed $100 million to support them directly. 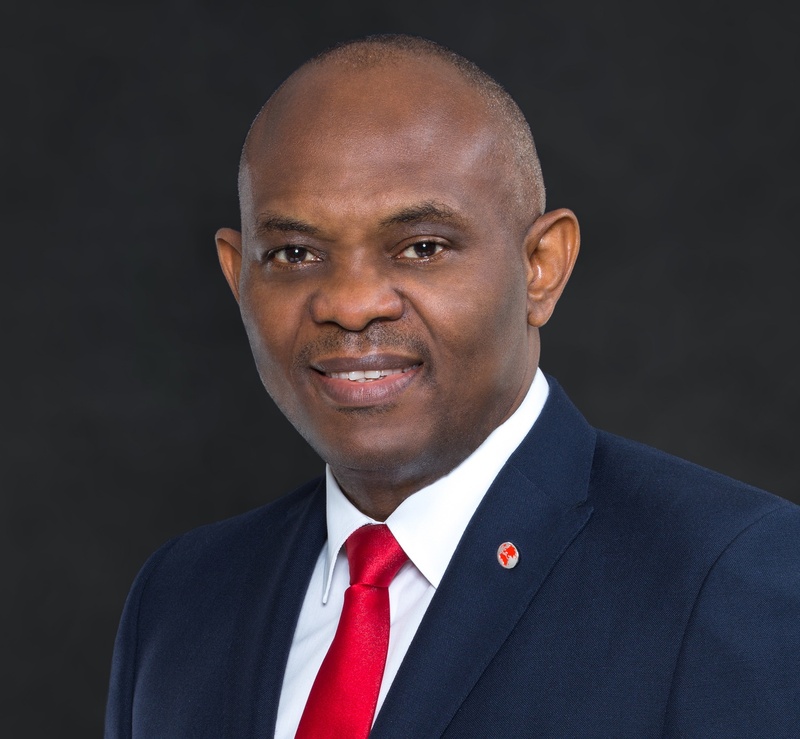 The Tony Elumelu Entrepreneurship Programme (TEEP) is designed to identify 1,000 African entrepreneurs every year over the next decade and provide them with much needed training, mentoring, financing, and networking. The initial reaction to the Tony Elumelu Entrepreneurship Programme shows the energy behind African entrepreneurship. For the first 1,000 available slots, we had over 20,000 applicants from 54 African countries and territories. The winners represent 52 African countries and territories as well as a multitude of value-adding sectors ranging from agriculture to education to entertainment to technology. But the Tony Elumelu Entrepreneurship Programme alone cannot transform Africa. Political leaders, business leaders and philanthropists must embrace entrepreneur-led development on a wide scale. I appreciate the role that President Obama and President Paul Kagame of Rwanda, as well as entrepreneurs and philanthropists like Jeff Skoll, the Omidyars and Richard Branson, have played in supporting entrepreneurship as a development path for Africa. To those leaders I say, “thank you” – for supporting the transformation of Africa by supporting African entrepreneurs. To the rest I say, “Will you join me?” My commitment to entrepreneurship is unbounded. I count myself among those who believe that five entrepreneurs transformed the U.S. into what it is today – John D. Rockefeller, Cornelius Vanderbilt, Andrew Carnegie, Henry Ford and J.P. Morgan. Now it is Africa’s turn. But I myself can only do so much. Let us work together to support Africa’s entrepreneurs – Shadi Sabeh and millions like him – and secure Africa’s future. Mailed to Glitz Plus Entertainment, from the Tony Elumelu Foundation.